We have already seen quite a bit of the unannounced Nokia EOS smartphone that is supposed to have a 41 megapixel PureView camera and running on Windows 8. 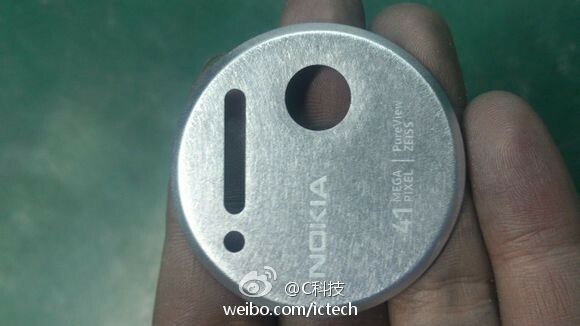 Now, a metal shell of an unannounced Nokia device has leaked that suggests there could be another Lumia device in the making with a full metal body. 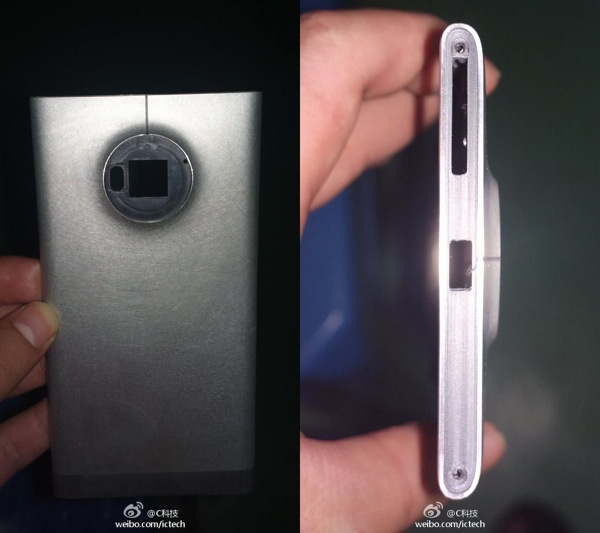 The shell is made out of aluminum and you can see cut outs for the camera lens and LED flash on the back and SIM slot and USB port on the top. Also noticeable is a rather pronounced hump on the back of the phone. This could be because of a particularly large sensor or because the phone itself being so thin that there was not much space inside without the sensor bulging out. Whether this device is being developed or was an early version of some other device that got cancelled, is something we don't know. But we do know that the EOS device we saw being leaked earlier has a 41 megapixel sensor for sure, as can be seen from the image below. I hope Nokia's metallic Lumias have more vivid color options than black, white, and grey. lol dis fone is junk! Samsung Note 3 is way better!! More Free and MORE specs! !